I started out with a grey card stock for the card base. I masked off 1/2″ all around using eclipse masking tape, then stamped the plaid pattern with a Wplus9 stamp set and white pigment ink. Next I stamped the flourish in grey. I also added silver liquid pearls in place of the dots from the stamp. 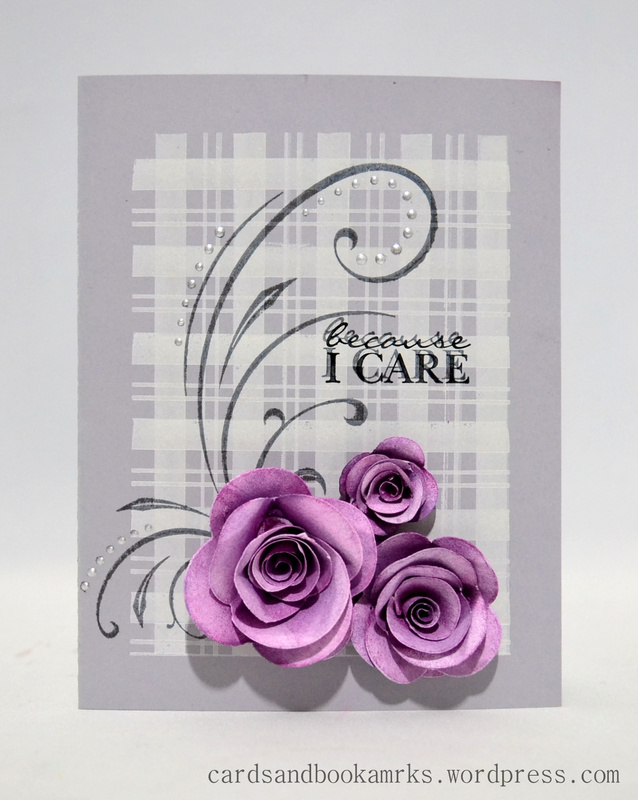 As for the roses, I used white card stock for the dies. Then I sponged distress inks on them. I used three color; light, medium, dark, applying light all over, then medium half way, then dark at the bases. After all the inking I curled the outer edges backwards and then rolled them up. Sorry if all this sounds confusing, I think I will do a video soon on how I made these. The sentiment was a mishap…first I stamped in grey, and got so upset because it wasn’t where I wanted! Then I stamped in black slightly off, and where I originally wanted it to be. Although not perfect, I think it gives a kind of a shadow look. What do you think? Did it ruin the card? Thanks for visiting! always appreciate your feedback! Stamp: Wplus9 Country Charm, Hero Arts Flourish stamp, Stampin’ Up! Because I care. Paper: Bazzill grey card stock, Recollection white card stock. Other: My Favorite Things Large, medium, small rose dies, Silver liquid pearl. Wow-ee … your white-on-gray base is pretty darn cool, but those flowers are simply amazing!!! The depth you achieved from using those three colors is just fantastic! Looove! I think your roses look great and I like that background stamp too. I don’t think your double stamping ruins the card. I love the card …the colours are just great , and I do not think that the double greeting ruins the card..it add interest. Love the 2nd card’s background!! Totally beautiful! Your rolled flowers look gorgeous! 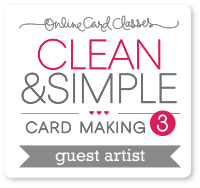 The masking you did on the background is fabulous too–a great way to add depth without adding bulk. So glad you could play along with us at CASE Study! I like ur version more 😀 mashaAllah tooo good, bravo !